If you’re in the market for a pickup that can pull its weight-and a whole lot more-you’ll want to explore the tough and mighty RAM 2500. This powerful truck is a perennial driver favorite, and when you take a closer look at everything it has to offer, it’s not hard to see why. This beast of a pickup sits proudly between its two siblings-the smaller RAM 1500 and the larger RAM 3500-making it the just-right choice for many drivers in the Manassas area. The 2500 is a workhorse that can handle the hefty towing and hauling that’s simply out of reach of many other trucks on the market. Options abound in the RAM 2500 lineup. Drivers can choose among an amazing variety of trims, engine configurations, and transmission options to create the truck that works for their specific needs. No matter how you build your RAM 2500, powerful performance is a given. But here’s something that you might be surprised to find in such hardworking pickup: a luxurious interior! That’s right; this tough guy is a soft touch on the inside, with comfort and convenience features not often found outside of luxury vehicles. Versatile seating and durable but comfortable materials ensure that passengers can enjoy the ride, and a variety of storage solutions keeps the interior neat and organized with everything you need to keep protected from the elements close at hand. And speaking of storage, the exterior of the RAM 2500 is outfitted with cargo-carrying features designed to let you easily pack in all the tools and equipment you could need for just about any job. You might think such a well-rounded pickup would be priced out of your budget, but with the great deals and financing options at Safford of Warrenton, that’s not the case at all. Our knowledgeable staff members can help you find the right truck at the best price! What Can You Expect from the 2018 RAM 2500? With seven trim levels and multiple engine and transmission options, there’s no shortage of ways to customize the RAM 2500 that can do everything you want it to. Choose from three powerful engines: the legendary 6.7L Cummins Turbo Diesel engine that can tow up to 17,980 pounds; the Heavy-Duty 6.4L HEMI V8 engine with 429 lb-ft of torque; and the standard 5.7L HEMI V8 engine with Variable Valve Timing, which offers abundant power without sacrificing performance. Paired with either a 6-speed manual transmission or a 6-speed automatic transmission, the RAM 2500 hits the sweet spot between raw power and efficiency. With a variety of cab sizes-regular, crew, mega-the RAM 2500 can accommodate up to six people in unbeatable comfort. Front bench seating at a 40/20/40 split brings versatility to the interior, and smart storage options like in-floor and under-seat cargo compartments maximize space for convenience and capacity. Cutting-edge technology features round out the well-equipped interior, with an available full-color display 8.4-inch touchscreen serving as command central. An available Uconnect 4C NAV gives you access to desirable features like SiriusXM Guardian, HD Radio, and Apple CarPlay and Android Auto integration. Tech-savvy touches extend to the realm of safety and security, too, with remote key lock, SOS Call, and Vehicle Finder. From its entrance into the automotive scene in 1998, the RAM 2500 made quite an impression. An embodiment of the RAM name, it delivered big in key areas that matter most to pickup drivers: power, capability, cargo capacity. Subsequent model years brought more of everything that drivers already loved in the 2500. Improvements to brakes and suspension and additional engine, cab size, and feature options joined the game. Better than ever, today’s 2500 models remain true to the RAM truck reputation for strong and durable work machines. 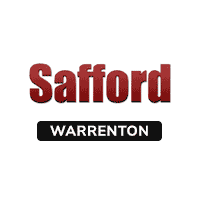 Why Buy or Lease from Safford of Warrenton? If the RAM 2500 is calling to you, it’s time to take action. Drivers in New Baltimore, Waterloo, and Auburn are invited to explore the impressive inventory of RAM trucks at Safford of Warrenton, and then let us put you behind the wheel to experience your favorites firsthand. When you take advantage of our financing options and special offers, you’ll end up with a truck you love at a price that seems too good to be true! Contact us today with any questions or simply stop by our dealership, located at 7308 Cedar Run Drive, to see what makes Safford of Warrenton the best place to buy your new or used RAM!